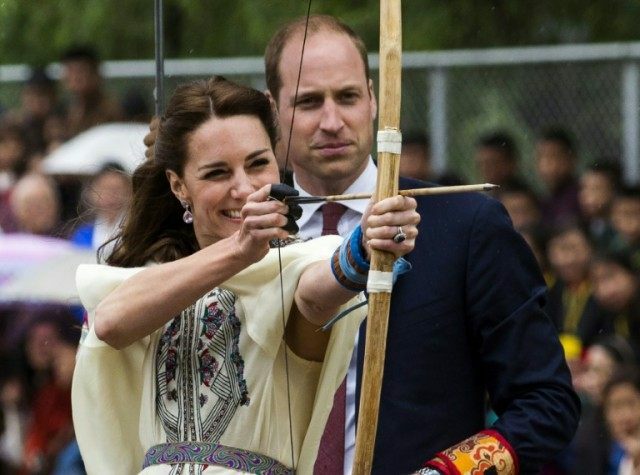 New Delhi (AFP) – Prince William and his wife Kate will wrap up their trip to India and Bhutan Saturday with a visit to the Taj Mahal that carries poignant echoes for Britain’s royal family. India’s most famous landmark holds a special significance for the young royals, with Kensington Palace saying Prince William feels “incredibly lucky” to visit a site where his mother’s memory is so alive. It follows a whirlwind week that saw the Duke and Duchess of Cambridge feed baby rhinos in northeastern Assam and trek to a mountain monastery in Bhutan — retracing the footsteps of Prince Charles. “I have been dreaming of meeting the Duke and Duchess of Cambridge ever since I got to know they would be coming to the Taj,” Surendra Sharma told AFP. Sharma’s late uncle Kailash Nath Sharma, a keen photographer whose studio in the city is still thriving, took several black-and-white pictures of the Queen and Prince Philip. Sharma may have reason to hope — in Mumbai, the couple took time out from engagements to meet with a 93-year-old admirer, Boman Kohinoor. The mausoleum is currently undergoing renovation work, with scaffolding covering two of the minarets — and a senior archaeological official told AFP it would not be dismantled for the visit. The couple are set to return to England on Sunday in time for the Queen’s 90th birthday on April 21. Crafted in white marble and inlaid with precious stones, India’s most famous monument was built between 1631 and 1648 under Mughal emperor Shah Jahan, in memory of his favourite wife, Mumtaz Mahal.